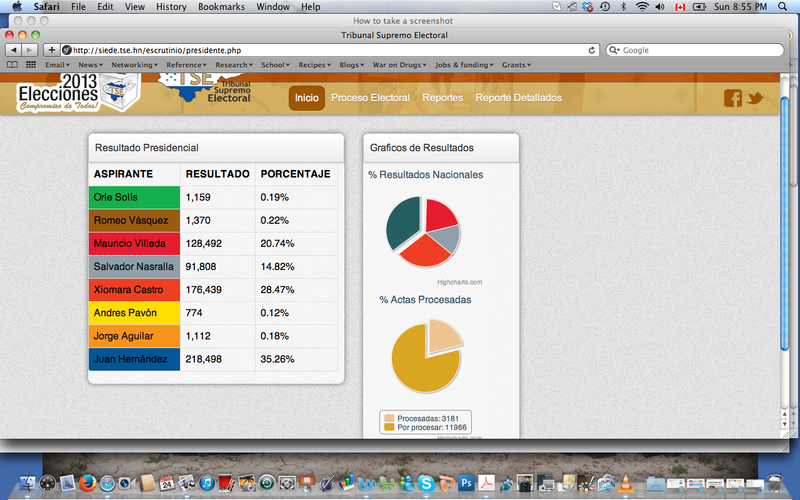 These are just preliminary results. On TV Globo, Xiomara Castro de Zelaya of the LIBRE Party is declaring herself the next President of Honduras while Juan Orlando Hernandez of the National Party is saying the same of himself on Channel 5. Voting table Representative Caught Counting LIBRE votes as PAC votes. 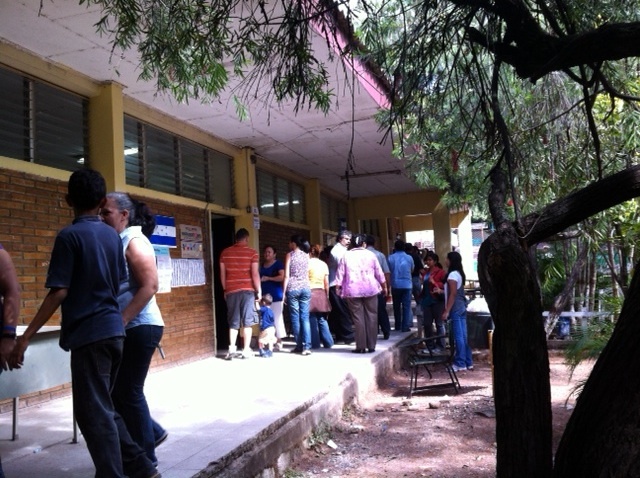 6:56 PM “At a table in Simon Bolivar [school] in the neighbourhood Las Mercedes, table members caught one person recording the votes for LIBRE as a vote for PAC two separate times in the Presidential count. When they finished, the votes at the end did not add up and they reopened the envelopes to count again. 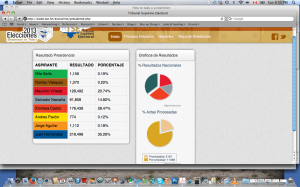 Report from Gerardo Torres Zelaya of the Organization Los Necios. 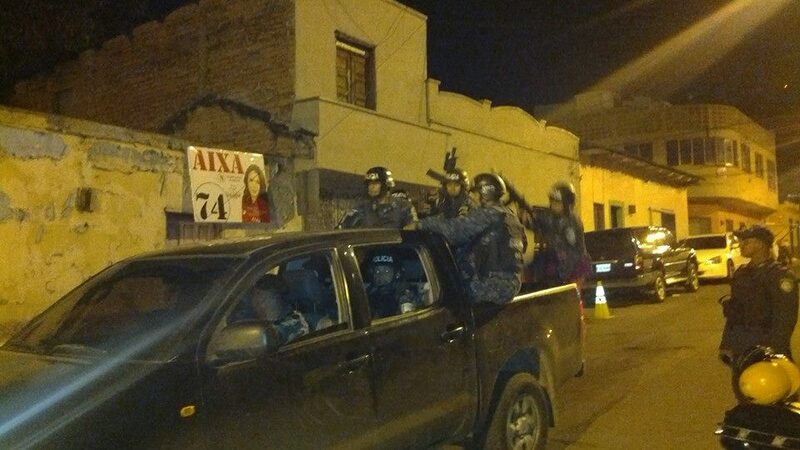 Military Police closes School Manuel Soto in the Morazán neighbourhood of Tegucigalpa and prevents the public scrutiny, claiming an alleged chaos that it is not reported within the facilities. 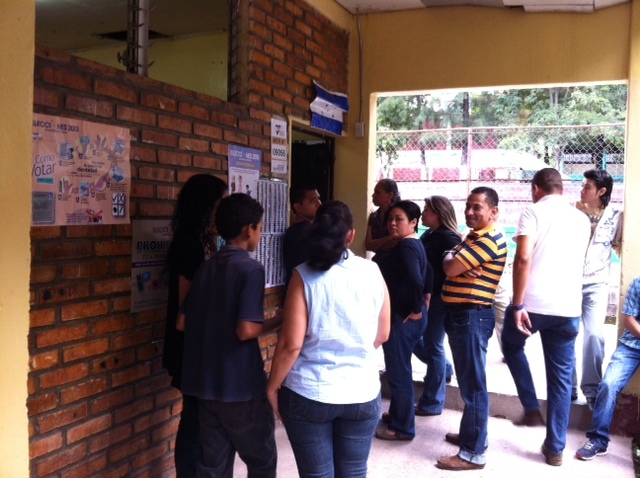 A HSN team observing the vote counting along with National Observers in the La Joya neighborhood in Tegucigalpa were approached by the ‘Custodio’ [Voting table supervisor] asking all National Observers to leave the voting station. Half an hour later, the Voting Table Supervisor returned with a military officer and said that all the International Observers had to leave as well. She told the team that “the TSE had called and said that everyone had to leave.” She said that people were complaining of interference. 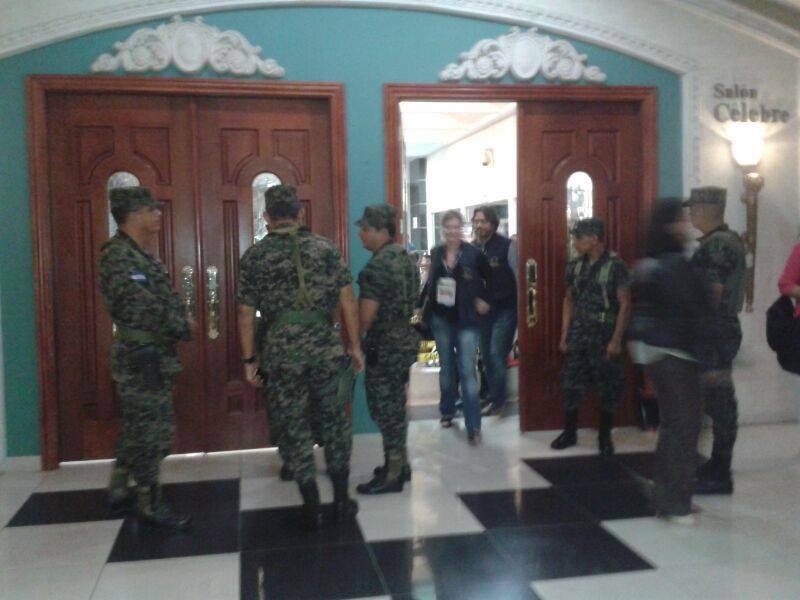 After insisting that they were in their rights to observe the vote counting, the International Observers remained. Radio Progreso has received reports of similar incidents that they will be reporting on shortly. 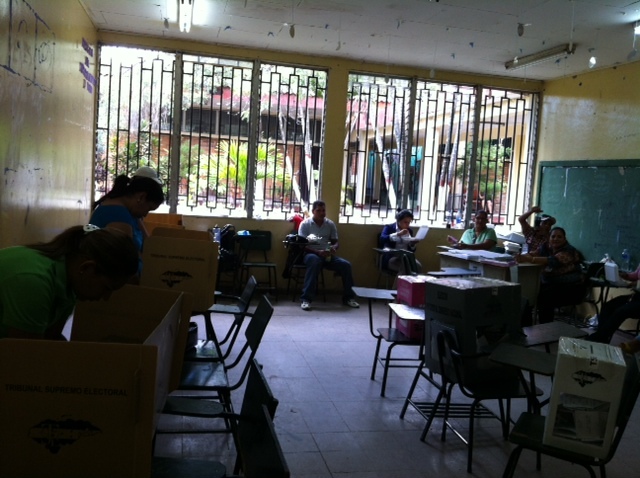 An HSN team reports from the Centro de Educación Basica Simon Bolivar in the neighbourhood Las Mercedes that Liberal Party representatives showed up at the voting table 7963 attempting to join the table. 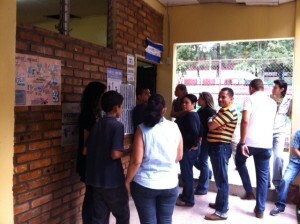 By Honduran law, voting table representatives cannot join the table after 9 am. The team reported that the Liberal party representatives began arguing with the rest of the reps at the table forcing the military to close the doors of the voting centre and shut it down for approximately 5 minutes. The Liberal party representatives were then escorted out of the voting centre.